Adult: Schizophrenia: Other psychoses, especially paranoid (oral and IM), Mania and hypomania(oral and IM), Mental or behavioral problems such as aggression, hyperactivity and self- mutilations in the mentally retarded and in patients with organic brain damage, severe psychomotor agitation, excitement, violent or dangerously impulsive behavior (oral and IM), Intractable hiccup (oral), Restlessness and agitation in the elderly (oral), Gilles de la Tourette syndrome and severe tics (oral), Nausea and vomiting (IM), Children (Oral administration only) : Childhood behavioral disorders especially when associated with hyperactivity and aggression, Gilles de la Tourette syndrome, Childhood schizophrenia. Moderate symptomatology 1.5-3.0 mg bd or tds. 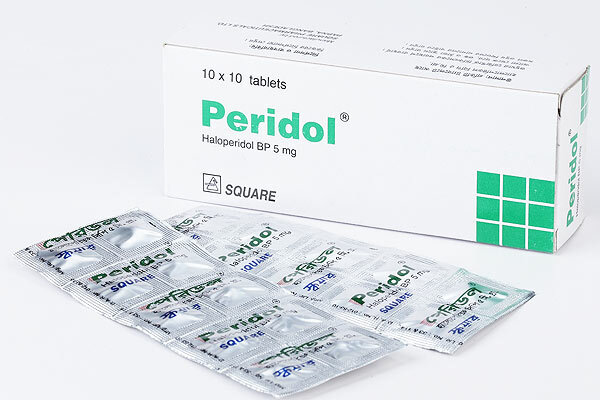 Peridol® Tablet: Box containing 10 x 10 tablets in strip pack.